In this guide, I will show my way how to install BeEF on Linux Mint or Ubuntu. 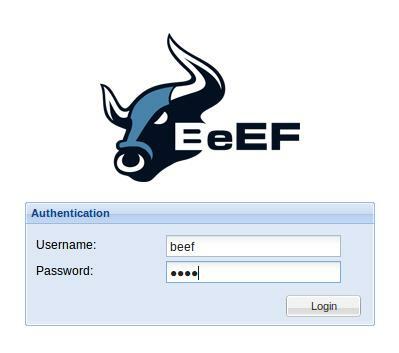 By default, login and passwords are beef/beef. -c, --config FILE                Load a different configuration file: if it's called custom-config.yaml, git automatically ignores it. As said above, by default, login and passwords are beef/beef. [17:57:36][!] Warning: Default username and weak password in use! So without our intention the password was change. The login is still beef, the new password is 21d2415d22a883368f7f6a116bd9f9f4.